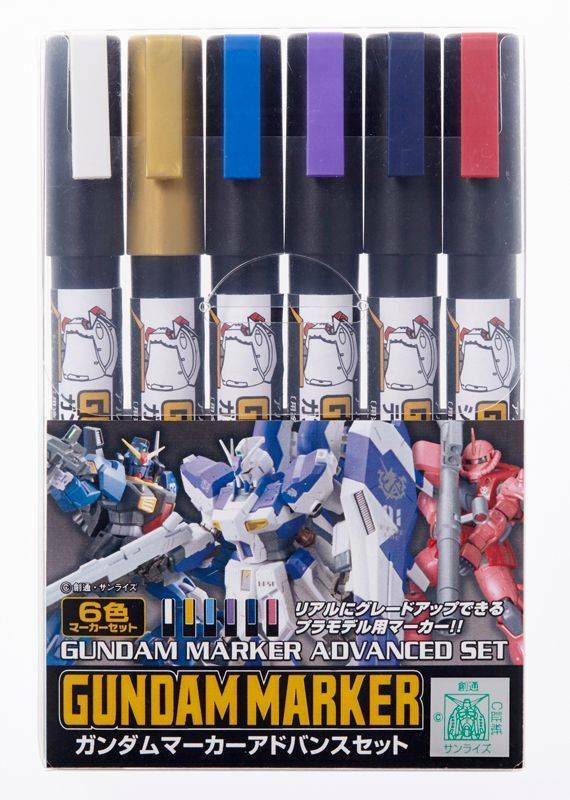 This is a new marker set for latest GUNPLA. 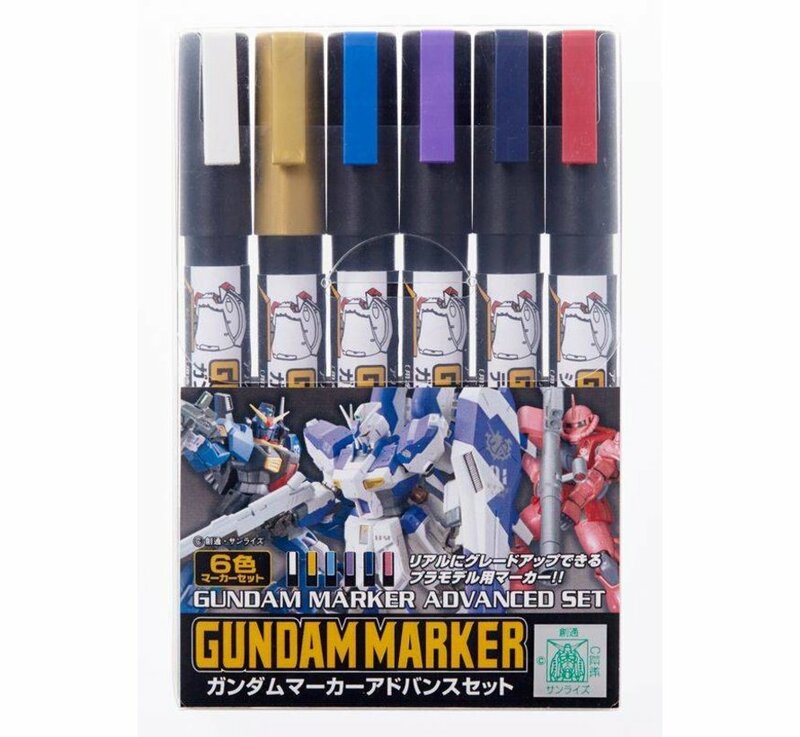 We investigated and pursued latest and accurrate color of GUNDAM, also each markers can be used for various GUNPLA because these are almost basic colors such as white, blue and red. Advanced white marker. 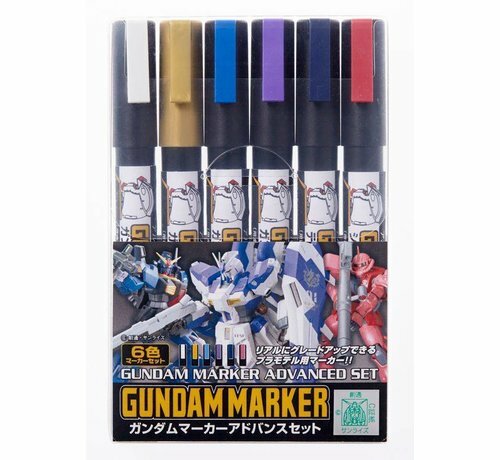 It has brighter color and higher foundation screening effect copared with previous one, GM11 GUNDAM WHITE. It is advanced gold marker. Its color has more graceful impression than GM04 GUNDAM GOLD. Light blue marker usable for Gundam's chest, Gouf's body and so on. Bright purple marker. You can use it for Hi-νGundam. Dark blue marker for Titan's mobile suits. Latest pink color for Char's mobile suits.